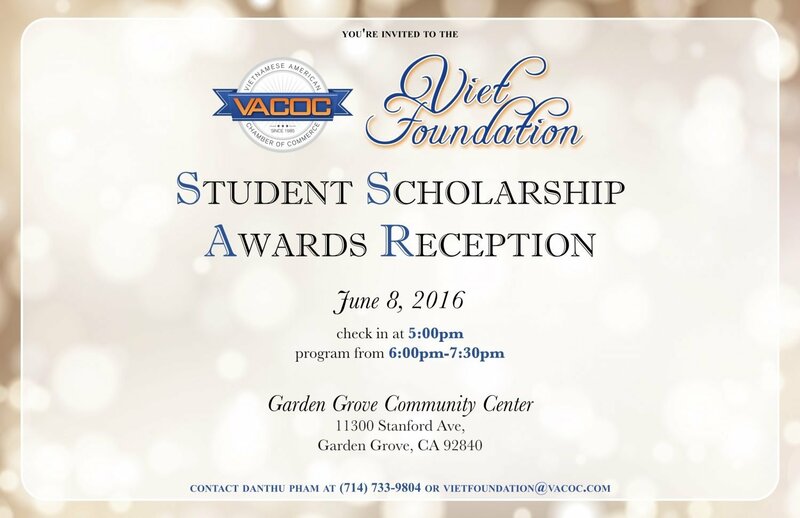 Advance Beauty College is excited to announce its participation for this year’s VACOC, Viet Foundation Student Scholarship. Joining Disneyland Resort in its contribution of $10,000 for the scholarship, Advance Beauty College will make another significant donation at this year’s annual Anniversary and Awards Gala. The event was created by the Vietnamese American Chamber of Commerce to honor recipients with awards and scholarships. VACOC has promoted businesses, philanthropy, and education of its chamber and community members for decades. Supporting local businesses, the chamber focuses on providing support through education, for example, for young people as well as minority-owned companies. Tam Nguyen, President of Advance Beauty College, will be returning as a VIET Foundation co-Chair, along with Dr. Natalie Tran, co-Chair in support of the community event. On Wednesday June 8th, The 31st Anniversary and Awards Gala will take place with 18 VIET Foundation scholarships presented. Previously donated by Disneyland Resort, this year Advance Beauty College is proud to joining the always generous Disneyland in contributing to the $10,000 for the Viet Foundation Student Scholarship award. Besides Advance Beauty College, The Disneyland Resort, we are also joined by other donors such as AT&T, The Nguyen Family Foundation and Dr. Bang Tran. This year the highly anticipated event will be held at the Garden Grove Community Center with over 100 attendees expected, including elected officials and superintendents. Dignitaries from 4 school districts, Garden Grove, Anaheim, Fountain Valley, and Westminster, will be in attendance. This year’s reception will take place from 5:30 to 7:30 pm. 2016 marks the second year Advance Beauty College has participated. Advance Beauty College has become the largest participant in the Vietnamese American Chamber of Commerce’s annual Anniversary and Awards Gala. The 18 students awarded the VIET Foundation scholarships come from middle schools and high schools throughout Orange County; representing 5 school districts this year. The districts includes Anaheim Unified, Garden Grove Unified, Huntington Beach Unified, Fountain Valley School District and Westminster School District. Orange County’s popular Beauty College emphasizes participating in such events, providing opportunities for talented students and other members of the community. Advance Beauty College is proud to be a Vietnamese-owned company, supporting community members pursuing a career in the beauty industry for decades. Family and community are both ideals very important to Advance Beauty College. In addition to creating advanced education for students, Advance Beauty College also works hard to provide scholarship opportunities for all students. Advance Beauty College supports the Vietnamese American Chamber of Commerce’s continued work in supporting the community. The Orange County Beauty College shares the Chamber’s emphasis on community as well as work in supporting local business.